Our Location609 W Main St.
“Managing wealth isn’t my biggest priority. Still, I need a plan that gives me confidence by helping to secure my future. I’ve asked REDE to create my investment plan so I can focus on the things I enjoy most. I’m defining my relationship with wealth— and REDEFINING outcomes.” Please see important disclosure. As your investment professionals, our focus is you. Everything else is a distraction. Most wealth management strategies oversimplify the issues that matter to you. They focus on just a few factors, like your available funds, current age, and time horizon. Your life and your investment goals cannot be summed up or achieved by that simple equation. As your lifestyle naturally evolves and changes, your investment strategy should, too. 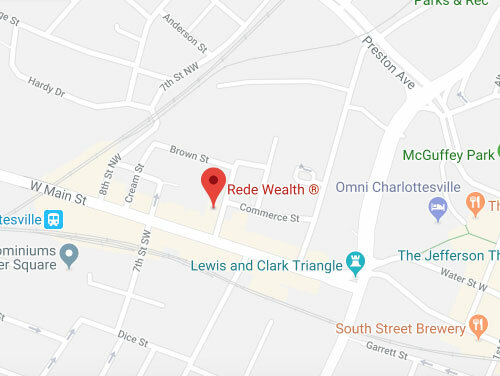 At Rede Wealth, you are our sole focus. We understand that investing is less about our recommendations and more about what you want and need. 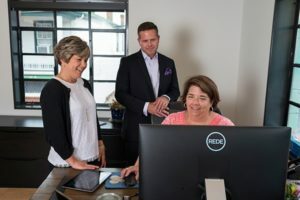 Here, you will get the support to create an Investment Process that evolves with you, whether your future includes marriage, children, college funding, retirement, or changes you cannot predict right now. ©2019 Rede Wealth. All Rights Reserved. Please Note:Limitations: The above Client Situations are hypothetical-not involvingactual Rede clients. None of the Client Situations should be construed by a client or prospective client as a guarantee that he/she will experience the same or a certain level of results or satisfaction if Rede is engaged, or continues to be engaged, to provide investment advisory services.